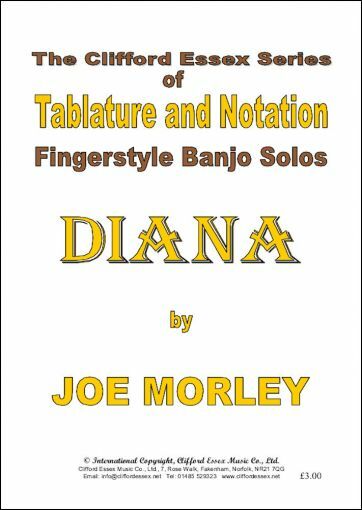 Location: /Sheet music/Fingerstyle Banjo/DIANA BY JOE MORLEY. One of Morley’s later publications (1931), this is also one of his more satisfying solos, having five sections instead of the more normal three. 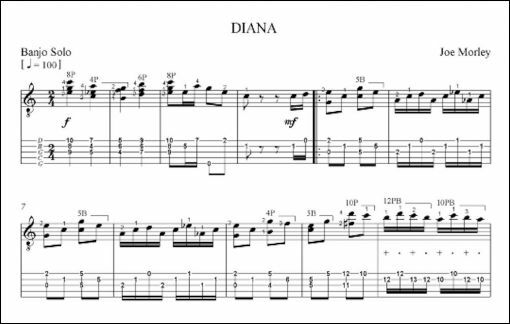 There are three sections in C major, one in F, and one in A major, as well as the usual four bar Introduction, a short Interlude and an eight bar Coda. So with plenty of music for your money, this is a solo which will keep you happily occupied for a long while!